Our church is currently going through a name change. Below are letters from our elder's stating the motives behind the name change and what has changed in the constitution also. Also included below is the most recent message from the elder's about the outcome of the vote and what you can expect with the changes to come. God has greatly blessed our church family over the last few years. He has taken us from a small town country church to a church spread over three locations in three different areas. He has grown us in maturity as we become more like Him. He has grown us in unity with a healthy leadership who are of one_ heart and mind. God is building our reputation amongst His people and in the communities we live. To keep in step with this move of God, we the elders, have unanimously decided that we need to make some changes to our church constitution. We are writing to you to inform you of these changes. We understand that change can be difficult, but we also feel united that God is leading us to make these changes. on the following page for more information. We have simplified our statement of "What We Believe" by listing some of those beliefs in a separate church document under the title of "What We Teach". We did this so that we can be more clear with our new members, using "What we Believe" to be the fundamentals of our Christian faith as the minimum requirements of membership. For example we have placed our statement on Israel to "What We Teach" as we do not think this belief is required for saving faith. Please note that none of our beliefs as a church body have changed. Rather we are trying to communicate more clearly the minimum requirements of faith for new members. We have clarified some of the purposes and goals of church discipline. New elders and deacons will no longer be recommended by ballots from the church members. Instead, the Elders will provide a list of potential names to be confirmed by the church body. Our recommendation process was not widely used in the past, but we continue to encourage church members to make recommendations to us in the future. We have re-worded the section on elders to remove the position of 'senior pastor' and added 'interdependent leadership' to describe our church leadership. This reflects our current leadership model and we believe that God has shown us how this is a better model for us going into the future. We have added the role of a 'deaconess' or female deacon. We believe that women are called and gifted to lead. We believe the Bible reserves the role of elder for a male, but there is a definite reference to a female deaconess. (Romans 16: 1 This is an awesome opportunity to affirm women in biblical leadership, and enable them to use the gifts God has given them to serve in an official capacity in the church. After much prayer and discussion the elders of our church would like to move forward with a name change. We understand the rich history and memories associated with the name “Countryside Chapel” as many of our elders grew up in this church. However, with the growth and expansion that God has done over the past 8 years we recognize the name no longer represents our mission and vision. It has been difficult for the name “Countryside Chapel” to catch on in New Philadelphia with many asking why that is our name. With the upcoming launch of our third location in Strasburg we feel this is the best time to move forward with a name change. 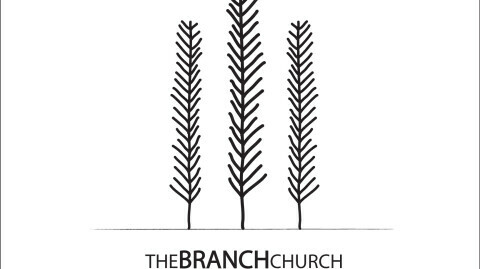 Our proposal is to move forward with the name, “The Branch Church.” We are a church that seeks to bear the fruit from abiding in Christ by producing a loving community that makes passionate disciples of Jesus. 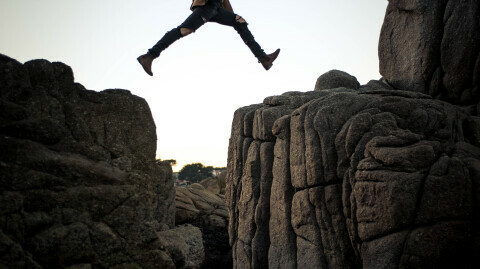 If we are making disciples it means we are growing, sending, & multiplying. Our attempt at a name change is not trying to be hip, trendy, or cool but it is to more accurately communicate our mission and vision. “The Branch Church” communicates on one hand a church that abides in Christ and on another a church who is branching out into communities around us and all over the world. While we understand no name can accurately communicate us completely, we feel the name “The Branch Church” better communicates who we are and where we are going. There were forums where members were able to ask questions specifically and those went well with many people curious about the name change. People also expressed their feelings individually to the Elder's and Pastor's. The vote ended up being extended an extra couple of weeks to give people more time to process and review. -You can now write checks to The Branch Church. -Other things will slowly change this fall, which include our website url, staff emails, our name as it appears on google, and our signage. -By January 1st our church will be fully transitioned in these details to The Branch Church. We appreciate everyone's patience and grace with us as we start to make the changes over to the new name. Who we are as a family and a body has not changed, just what we call ourselves. If you have questions or concerns, or encouragements - you can email them to and they will be forwarded to the Pastor's & Elder's.